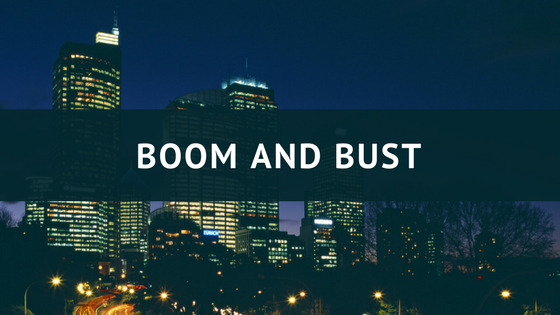 Boom and Bust - The Law Offices Of Eric L. Nesbitt, P.C. The current explosion in Colorado real estate prices raises the question of whether the real estate market is headed into a boom and bust cycle. While the local real estate boom is on a grander scale than the national average and the housing bust of 2008-10 was on a grander scale than the Colorado real estate market, there is still a question of whether Colorado’s unprecedented current boom will be followed by a deep bust. This article discusses possible foreclosure circumstances and regulations that may result from such an event. Nationally, it was common for people to act as mortgage brokers at the time of plenty and foreclosure consultants at the time of famine. Often, people enjoy the good times without thought about possible bad times. When bad times strike, those people are caught in a tough spot because their financial circumstances see a collapse. They may find themselves with a large mortgage and a lavish lifestyle, but no job. They may be forced to take a lower-paying job and find their business producing significantly less income. This situation is highly stressful and people often become desperate. This may compel them to turn to foreclosure experts for help. Back in 2006, Colorado addressed foreclosure consultants. The Foreclosure Act looked to shield the unsuspecting from those it dubs as “foreclosure consultants,” which are individuals who present themselves as people with the ability to stop or postpone foreclosure actions. Foreclosure consultants may continue doing business, but they are subject to certain rules and regulations. ● Help the homeowner obtain excess proceeds from a foreclosure sale. Under the Foreclosure Act, consultants are barred from acquiring any interest in the property that they claim to protect. This ban on an equity interest is so the consultant provides the homeowner with advice that is helpful to the homeowner, not advice that leads to the consultant to purchase the property at a discount. Moreover, this ban on a consultant’s interest in a property is applicable to the consultant’s partner or any company affiliated with the consultant. Buyer? Investor? For questions about the real estate market or other real estate legal needs in Colorado, contact the Law Offices of Eric L. Nesbitt, P.C. at 303-741- 2354 or Info@NesbittLawOffices.com.